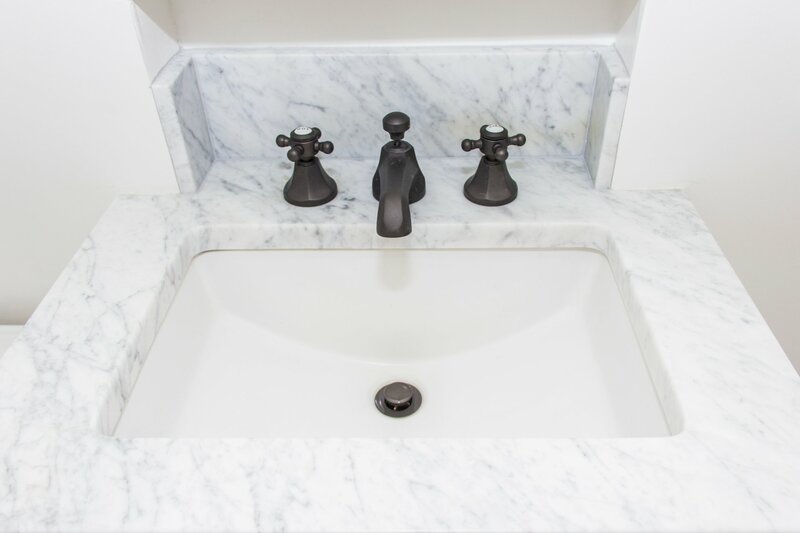 If you have a narrow bathroom, a sink can be a real space-killer. Entering the bathroom and clipping your hip on a piece of quartz every day gets old fast! Knowing this, we decided to save a few inches by cutting out a niche and putting the whole sink several inches back into the wall. This, along with the built-in medicine cabinet saved 3 inches of space. When your bathroom is that small, it really makes a difference. Porcelain sink by Kohler, installed by yours truly. Whenever possible, keep small bathrooms a lighter color. Whites and pastels reflect light and make the space feel bigger and brighter. Don’t be afraid to think outside the box! You can create space from adjacent rooms if it is worth having a larger bathroom. There are of course many ways to solve a small space problem. It depends on what your preferences and how you want to use your space. If you would like some help with your remodeling projects, feel free to contact us or stop by our Portland showroom!